It would appear that the competition for the Webster Block will come down to a pair of plans submitted to the City on the 15th. According to Business First, the Sabres and Carl Paladino each have submitted a bid for the RFP process for the block across from First Niagara Center. Business First mentions a third bid which was described as more of a concept as compared to the other two bids. Shovels should be in the ground on the Webster Block within 12 months. “Sources said the Sabres are proposing a multi-rink facility, with a themed sports bar/restaurant to be developed by Delaware North. The rinks would be used as a practice facility for the team as well as the home base for some of the area’s collegiate hockey teams. It would also host amateur and youth tournaments. The part that should illicit the most excitement is that the city is expected to announce a winner by the end of the summer and construction will be expected to begin next year. Based on that time table I wouldn’t be surprised if major progress wasn’t underway on the block within the next 12-18 months. Neither of these projects sound bad. In fact, they both sound terrific. One calls for a hotel tower complex with additional apartment and office space with ground floor retail fronting the Washington and Main corridor. That has a very Torontonian feel to it in my opinion. I can picture a sleek building with a couple of spots on the ground floor for restaurants and store fronts. However, Paladino has had enough trouble developing the Fairmont Creamery (Coffee Rich) and the Greystone to make me think he would do a killer job with this particular project. Personally, I think Paladino should take the money he would be spending on this project and apply it to the Coffee Rich building, thus adding two new builds to the neighborhood. Not to mention, the Coffee Rich building turned into apartments and office space would look great heading in on the 190. Perhaps the City realizes this and directs Paladino to direct his funds towards the Fairmont Creamery project. That way there would be a pair of major development projects on the same street (Scott St.). The Sabres project is one that has been rumored for some time. I have even written about it here a couple of times. Ted Black make a few statements showing the Sabres obvious interest in the property during the recent blog summit. His attitude on the matter made it seem like something the Sabres want in on badly. He did make mention of the fact that the Sabres hope to compliment, not compete with, other development projects in the area. UPDATE: A second Business First article details that the Sabres bid also includes a hotel component, parking for 1,000 cars and the expected street-level retail. Considering the layout of the block and the Sabres’ proposal, expect a very interesting set up for how the rinks, parking and hotel work in on the floors above the retail component. Probably something with a similar feel to the Kettler Capitals Iceplex. Considering that the hotel, parking and rinks will be sharing space with the retail and restaurant, I would think that this will be in the six-to-ten story range. I fully expect the architecture to be extremely impressive. This will be likely be connected to First Niagara Center by skybridge to provide direct access to those parking in the garage when there is an event. 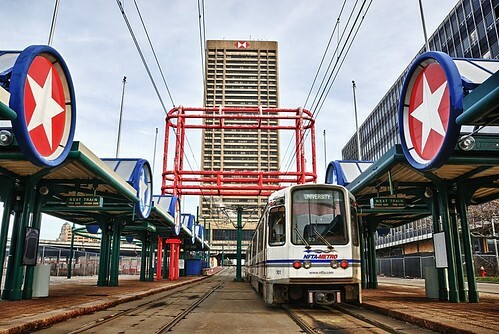 Andrew Kulyk had a great idea for a bridge connecting to a permanent Metro station (that would not include chipped red paint) as well. Too bad his idea is rooted in common sense which means it will not get past the cocktail napkin stage. I fully expect the Canisius College varsity hockey team to call this home in addition to the Buffalo Jr. Sabres. In addition, ice time will be filled by youth programs and even senior hockey leagues throughout the week. The upside is that hockey never stops, so the rinks will even be active in the summer. Those who think this is a closed-minded waste for a prime piece of property are mistaken. Since this ice complex will be going year round with games, practices and tournaments; there will be year round activity from those using the rinks. Whether it is down time between a game or practice or a beer league searching for wobbly pops and wings, the retail and restaurant element will not go unused. Add in the college students coming for Canisius games and the major influx of people coming to and from arena events year-round – yes, there are other things done at FNC besides hockey – and this will become a major magnet for activity on a 12-month basis. 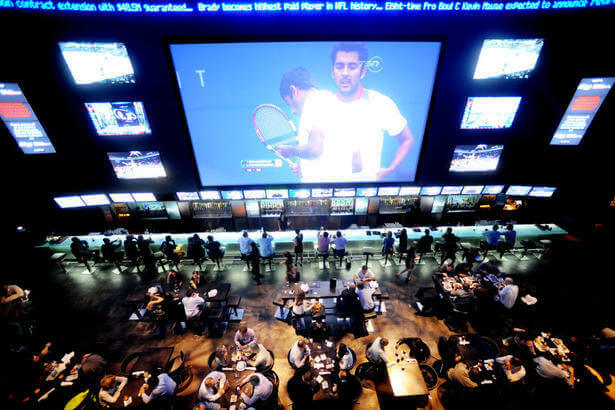 Real Sports is a “well stocked pond” and mecca for pre and post-game congregations up at Air Canada Centre. It would serve as a perfect model for what the DNC restaurant could be. The new information on the hotel adds a greater population of patrons to this complex and the parking will serve a larger base than the previous Canalside option. Canalside has been moving at a glacial pace since its inception. Byron Brown is wise to fast track this project because it should spark interest from other developers in the area. Looking at what the Sabres plan has to offer points to an easy decision for the city.